Designed for the aggressive players looking for agile and explosive on court movement with the Wave Stealth 4 Netball Trainers from Mizuno. This technologically advanced shoe is made for the players looking to impose skill and aggression on the court, become the player you've always wanted to be. 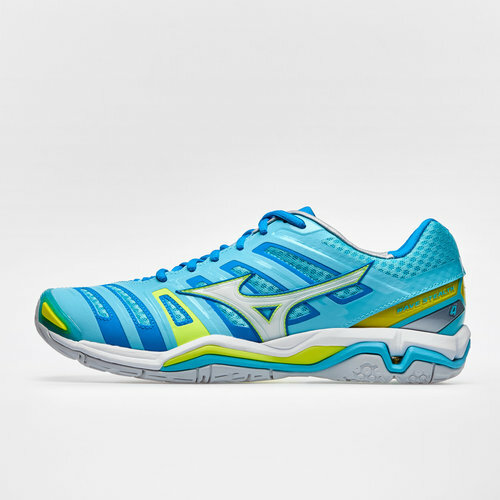 Designed in Blue Radiance, White and Diva Blue, it won't just be your on court skills that stands out.